Copy protection questions can be bypassed by using the universal code Joshua. Comes bundled with Wolfenstein 3D. Not available for purchase in Germany. 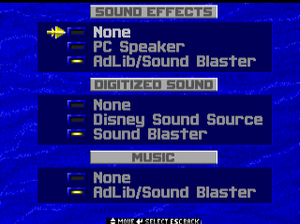 All digital versions are pre-packaged with DOSBox. Both mission packs are included in the Steam release of Spear of Destiny. 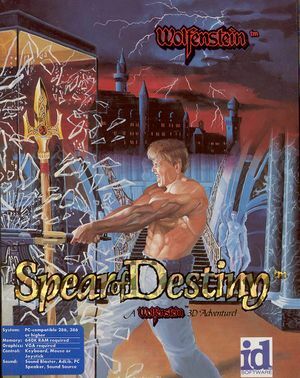 A special release of Spear of Destiny was available, called Spear of Destiny Super CD, which included the base game and both expansions plus a random level generator called Gamegen. 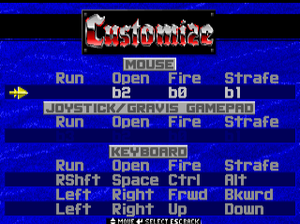 Gamegen is now available as freeware and can be downloaded here. ECWolf Based on Wolf4SDL and ZDoom code. 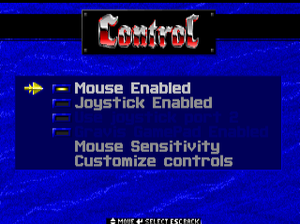 Provides many useful features such as support for wide screen resolutions and unlimited save slots, and aims to provide a wide array of mod editing capabilities. ↑ 2.0 2.1 File/folder structure within this directory reflects the path(s) listed for Windows and/or Steam game data (use Wine regedit to access Windows registry paths). Games with Steam Cloud support may store data in ~/.steam/steam/userdata/<user-id>/9000/ in addition to or instead of this directory. The app ID (9000) may differ in some cases. Treat backslashes as forward slashes. See the glossary page for details.